Perhaps the most surprising news surrounding the US, British and French strike on Syria Saturday morning was the report that the country's Air Defense Force managed to shoot down just shy of 70% of the Western cruise missiles launched. 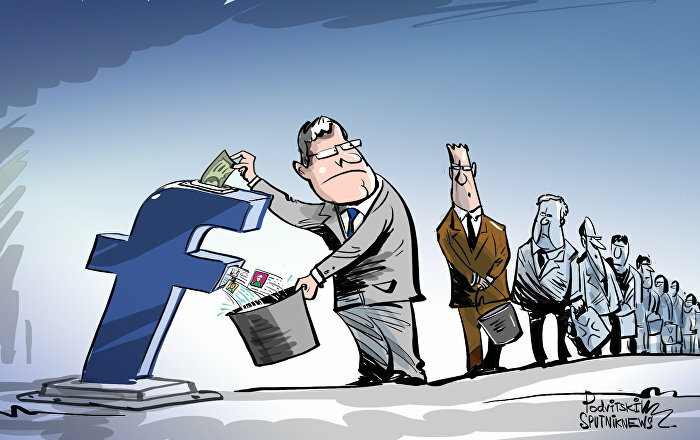 Sputnik looks at how the Syrians managed to do it. The Western attack, executed this morning at 4:00 am Syrian time on April 14, saw US Navy warships in the Red Sea and Air Force B-1B bombers and F-15 and F-16 aircraft rain dozens of ship and air-launched cruise missiles down on the Syrian capital of Damascus, an airbase outside the city, a so-called chemical weapons storage facility near Homs, and an equipment storage facility and command post, also near Homs. B1-Bs are typically armed with JASSM cruise missiles, which have a 450 kg warhead and a range of 370 km. US Navy warships launched Tomahawks, which have 450 kg warheads and an operational range of between 1,300 and 2,500 km. The British Royal Air Force's continent for the assault consisted of four Tornado GR4 ground attack aircraft armed with the Storm Shadow long-range air-to-surface missile, which the UK's Defense Ministry said targeted 'chemical weapons sites' in Homs. These weapons have a range of 400 km. 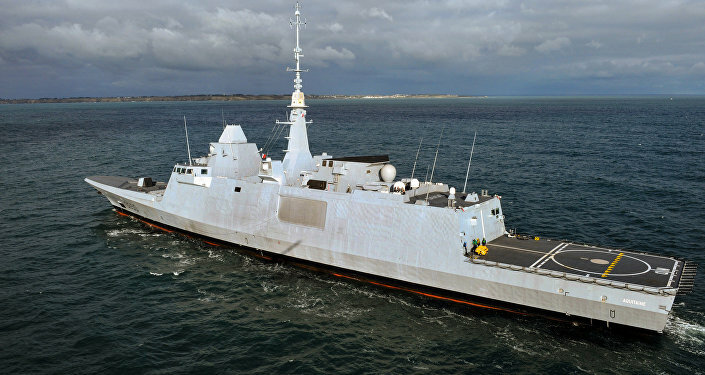 Finally, France sent its Aquitaine frigate, armed with SCALP naval land attack cruise missiles (SCALP the French military's name for the Storm Shadow), as well as several Dassault Rafale fighters, also typically armed with SCALP or Apache cruise missiles. According to the Russian defense ministry, the B-1Bs also fired GBU-38 guided air bombs. — Минобороны России (@mod_russia) 14 апреля 2018 г. 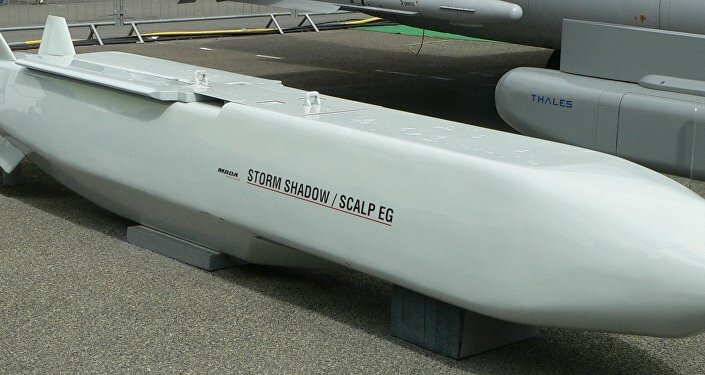 Model of a JASSM missile. Undoubtedly weary of the prospect of having their aircraft shot down after Israel lost one of its F-16s over Syria in February, the Western powers presumably launched their weapons from well outside the range of Syrian air defenses, with all the targets located just 70-90 km of the Mediterranean Sea, and having to fly through Lebanon first. However, notwithstanding the powerful collection of weaponry arrayed against them, the Syrian Army seems to have managed, for the most part, to blunt the attack. Several hours after the strikes, the Russian Defense Ministry reported that the majority of the missiles launched were intercepted by Syria's Air Defense Force, who shot down some 71 of the 103 cruise missiles detected. This included the interception of all 12 missiles launched at the Al-Dumyar airbase northeast of Damascus. 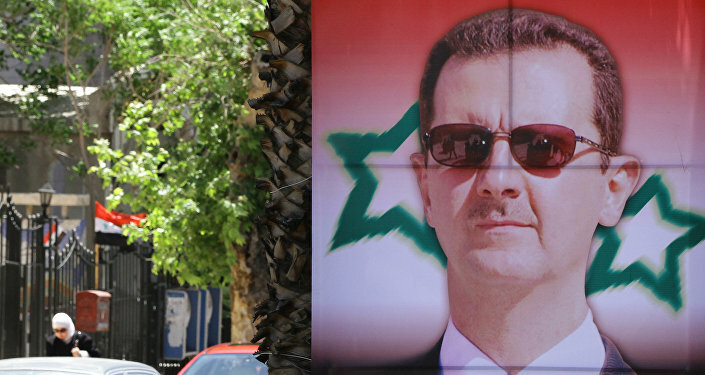 Syrian media, for its part, reported that the military had destroyed 20 missiles over Damascus alone. — James Elias Mirad (@EliasMirad) 14 апреля 2018 г. 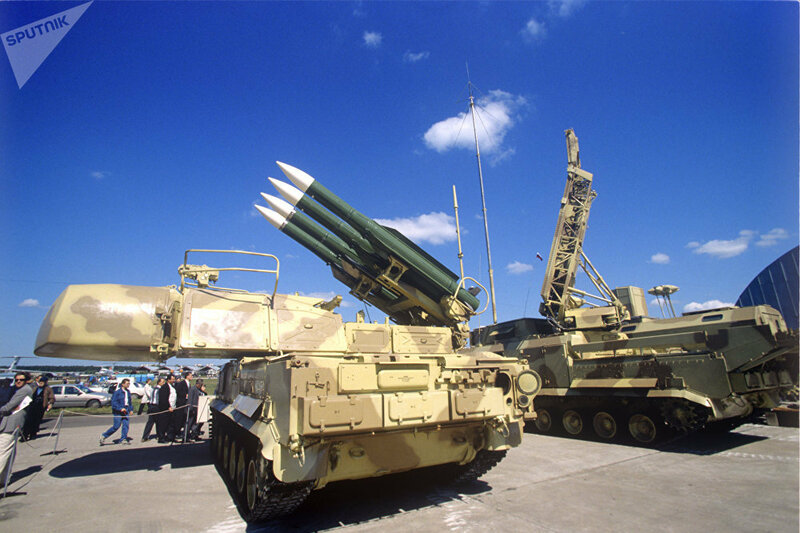 Furthermore, although the Syrian military does have some modern air defenses, including the Pantsir-S1 combined short-to-medium range surface to air missile (SAM) and anti-aircraft artillery system, the cruise missile attack was repelled mostly by upgrades of 30+ year old equipment, including variants of the Buk self-propelled missile system, the S-125 air defense system, and the S-200, an aging but tried and tested SAM introduced into the Soviet military in the late 1960s. In late 2016, Russian defense analysts created a detailed outline of the state of Syria's military. Their research concluded that Syria's air defenses remained formidable, even following half a decade of war against terrorism. According to the estimates, the Air Defense Force's inventory includes 36 Pantsir-S1s, delivered by Russia between 2008 and 2013, 3-6 battalions of Buk-M1 and Buk-M2 medium-range SAM systems (Moscow delivered eight Buk-M2s between 2010 and 2013), five regiments (i.e. 25 batteries) of Kvadrat tracked medium-range surface-to-air missile systems (Kvadrat being the export version of the Kub air defense system), and 8 regiments of the S-200VE long-range missile system. Syria has up to 53 regiments of the Dvina and Volga variant of the S-75, the ancient Soviet high-altitude air defense system used to shoot down US U-2s over the USSR and Cuba in the early 1960s. The country also has some 4,000 anti-aircraft guns of various calibers, although these are slowly being retired. The Ground forces are also equipped with the OSA, Strela-1, and Strela-10 mobile, low-altitude short-range SAM systems (the Syrians have 61, 100 and 60 of each, respectively). Syria's radar network consists of P-40 3-D UHF early warning/target acquisition radar, P-12 3D VHF early warning ground control radar, P-15 2D UHF surveillance/target acquisition radar, P-30, P-35 an P-80 2D E band/F band early warning ground control radar, and PRV-13 and PRV-16 altimeter radar. With the exception of the PRV-16 and the P-80, which were introduced into the Soviet military in the early 1970s, the rest of these systems were fielded starting in the late 1950s and mid-1960s, and have mostly been retired in Russia. Russia and Belarus have provided Syria with parts and technical support for these systems. The formation of Syria's more or less modern air defenses has its roots the early 1980s, and stems from the Air Defense Force's humiliating defeat at the hands of Israeli air power during the 1982 Lebanon War at Bekka Valley. A year later, in 1983, the Soviet Union transferred its S-200VE long-range air defense system, along with the technical personnel to man them and train their Syrian counterparts. The S-200's deployment was unusual, with Syria getting the systems before even the USSR's Warsaw Pact allies did. Soviet officers pose in front of an S-200VE in Syria, 1980s. Since that time, thanks in part to having to contend with the technologically superior Israeli Air Defense Force on its border, Syria has continued to upgrade its air defense network. In fact, despite its age compared to Western powers, or say Russia, the country's air defenses are considerably more modern than those of Yugoslavia, Iraq and Libya before those countries were subjected to US and NATO bombings in 1999, 2003 and 2011. 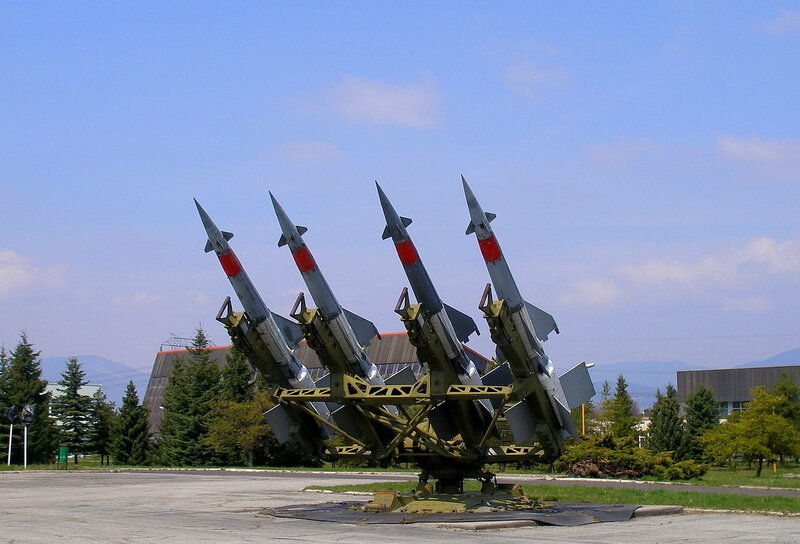 The Air Defense Force is estimated to have between 20,000 and 36,000 personnel. Syria's terrain, including numerous mountain ranges, which complicate attackers' options, has resulted in an operational doctrine aimed at preserving air defense capabilities even in the event of massed enemy strikes, similarly to the Yugoslav Air Defense Force's strategy during the war against NATO. According to Russian military observers, Syria's most formidable air defense systems are its Pantsirs and BuK-M1-2 and Buk M-2Es, which can shoot down F-15s from 45 km away and simultaneously track and destroy up to two dozen enemy targets. Furthermore, the S-125 Pechora remains a problem for NATO, despite its age. 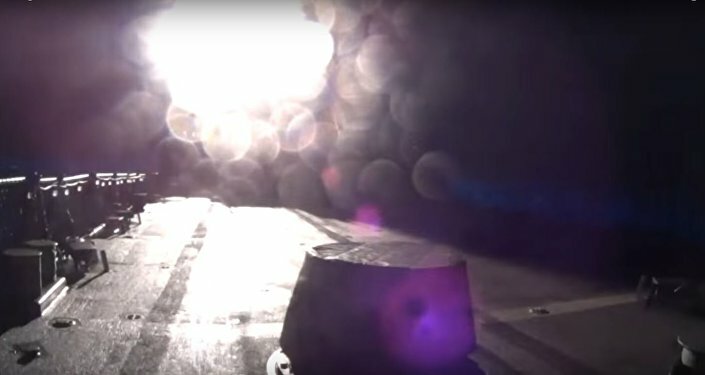 In March 2015, Syria shot down a US Predator drone in Latakia using the system. Finally, of course, there are those S-200s, which have an operational range of 300 km. It was one of these that shot down the intruder Israeli F-16 in February 2018. It's unclear at this point whether the US and its allies will limit their strikes to Saturday's attack, or launch further attacks in the future. 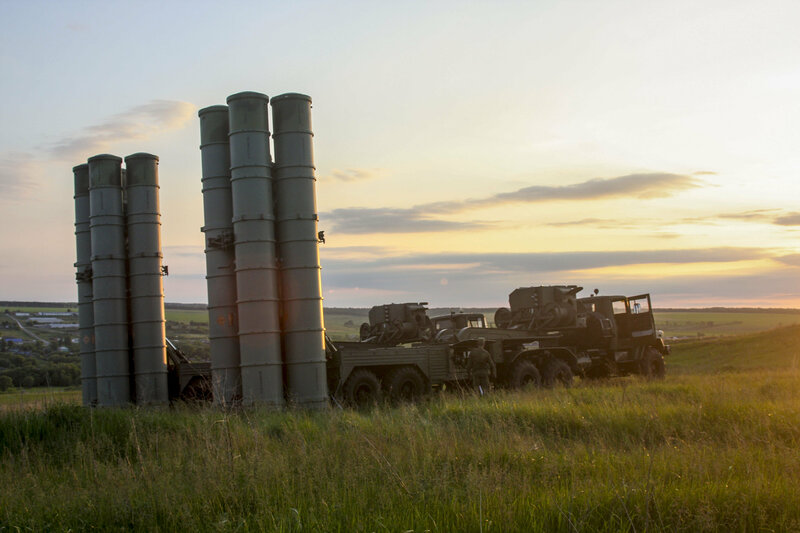 In any case, the attack has already prompted Moscow into considering providing Damascus with its S-300 long-range SAM system. "Taking into account what happened, we consider it possible to return to this issue," the Russian General Staff said in a statement. In any case, Russia has already provided Syria with substantial assistance in restoring its air defense capabilities, particularly over the past year and a half. The end result of this assistance was seen shortly after 4 am on Saturday morning.